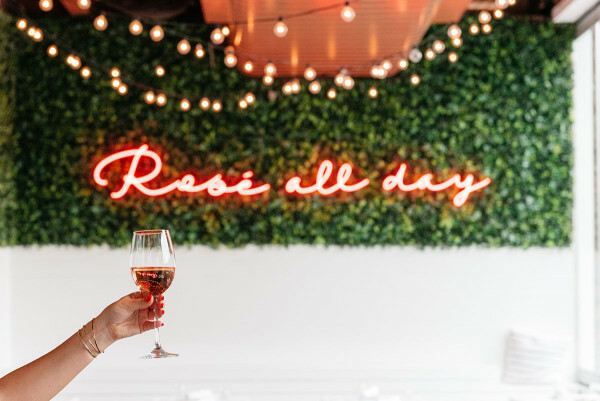 While I obviously agree that rosé is the best beverage to sip on during a warm summer day or night, it surprisingly pairs really well with a lot of different foods, too! I’m only a fan of dry rosés, but I’ll get into that a little bit more in a bit. Dry rosés pair really well with rich cheese dishes. (Pizza, grilled cheese, soufflés, etc.) 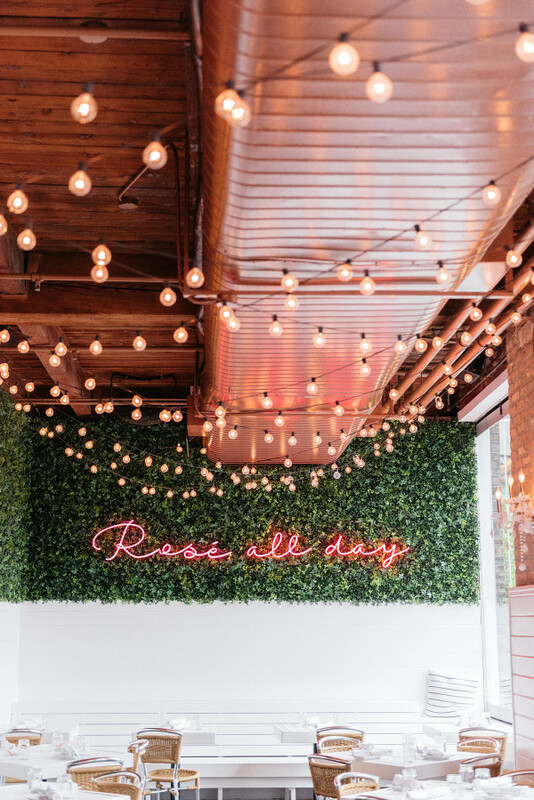 Obviously I’m no sommelier (actual #dreamjob though…), but I’ve heard that some cheeses pair better with white or red wines, but almost every cheese pairs well with a dry rosé. The more you know! A few years ago I was picking up wine for a Friendsgiving (somehow I am always the one in charge of wine!) and I was told that rosé actually pairs really well with turkey, too. Don’t have to tell me twice! And personally, I think rosé pairs really well with fish and sushi. Not all rosé is created equal, my friends, and I’ll be the first to admit that I’m pretty picky about my pink drink. I like very dry, crisp, and slightly fruity rosés… Nothing too sweet! When I’m looking at a wine list and don’t recognize any of the labels, I can always tell if I’ll like it by the shade of pink and the region. The palest of pink and France… only. I know I’m a bit of a Francophile, but I swear that has nothing to do with it. The Provence region in southeast France is known for their bone dry rosés! I did some research and there are actually eight different regions within Provence, but I don’t think my palette is refined enough to be able to tell much of a difference… yet. Absolutely DYING to plan a trip there! You know, for research. 😉 Obviously, there are a few rosés that I’ve liked over the years that are from outside of the Provence region, but it’s always wines that claim to taste like something from Provence. Lorenza comes to mind (such a great pretty bottle! ), as does Wolffer Estate Vineyard. 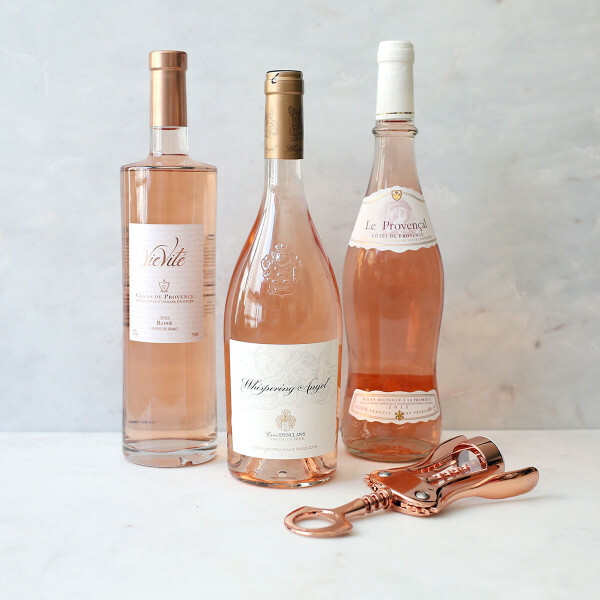 Bottom line… If you like dry rosé, you absolutely can’t go wrong with a French rose… Promise! I’ve been testing my theory on this for quite a few years now and I’ve yet to be let down. Let’s take it a step further, though, shall we? 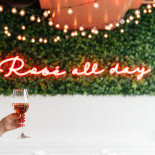 I figured I’d share a bit about my favorite rosés that I buy, at a few different price points. Hopefully this helps next time you’re at the wine store! Whispering Angel ($20) is probably my absolute favorite! It’s almost too easy to drink. Vie Vite ($19) is another favorite, that I actually found at The Hampton Social! And you can’t go wrong with AIX ($18). 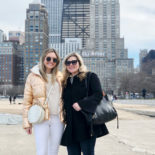 Most of the preferred rosé I can find in Chicago is in that $20 range, but I’ve found that Plum Market has a really great selection of cheaper rosés that still taste great! La Vieille Ferme ($7) and Le Provencal ($12) are two favorites. 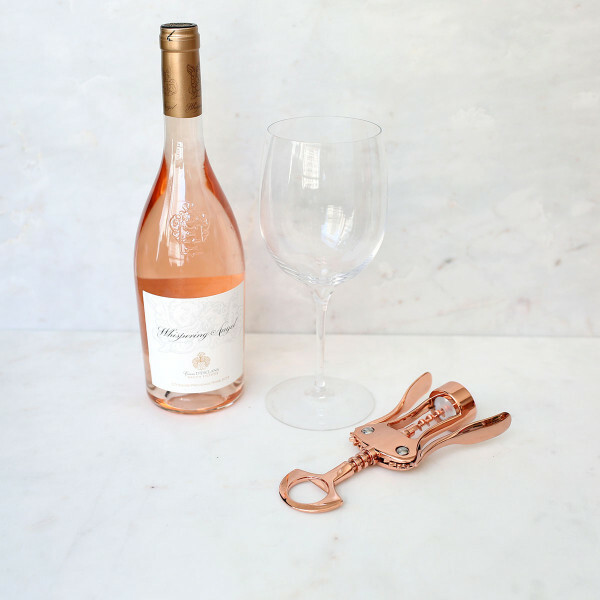 Oh, and how cute is this rose gold wine and bottle opener? I saw it and had to have it! Perfect for opening countless bottles of rosé this summer. Cheers! ugh i wish i weren’t allergic to alcohol i’d love to have a pretty (and apparently delish!) glass of pink bubbly with every meal! Love the suggestions! Cheers to a fun holiday weekend. Loved this post! Thank you for the tips and recommendations!